Updated 01-09-2019 --- Additional filters added to filter the "Baby Ariel" special NPC. Updating is probably not critical if you have a previous version of the mod. Note: The maniacal woman on the left in the above screenshot is a paid actress and is intended as a purely fictional representation of the type of Sims that I do not allow in my neighborhoods. Maybe it's just me, but I find the text messages that adult Sims can get from unknown children to come play with them to be just a bit disturbing. 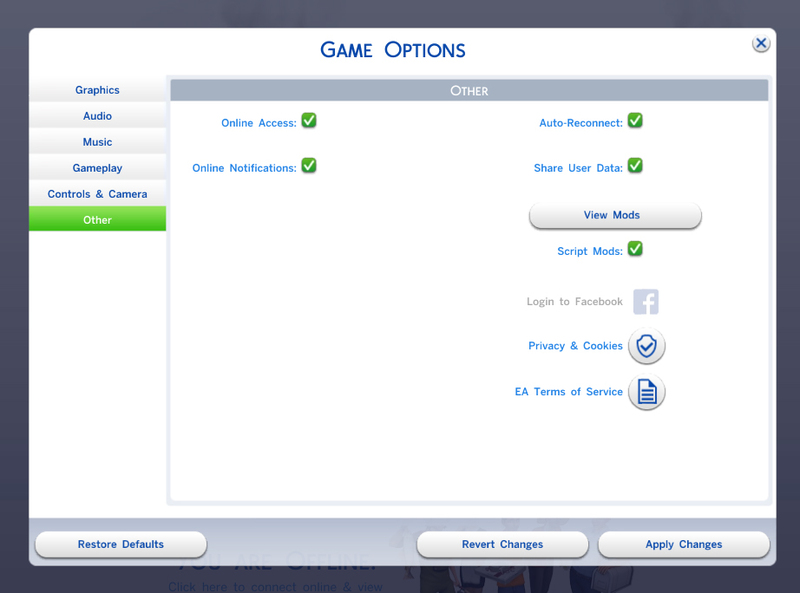 Sure, it is just a game, but does EAxis really think that all of the Sims I play are Senators? I thought perhaps this was happening due to a bad save game from before they fixed the relationship code in the game as I didn't remember that happening in the past when I played; however, starting a brand new game demonstrated the same results. Child Sims would text the adult Sim I was playing asking him to come play with them, even though he'd never even met those children once. Creepy - what is wrong with Sim parents they give these children phones? 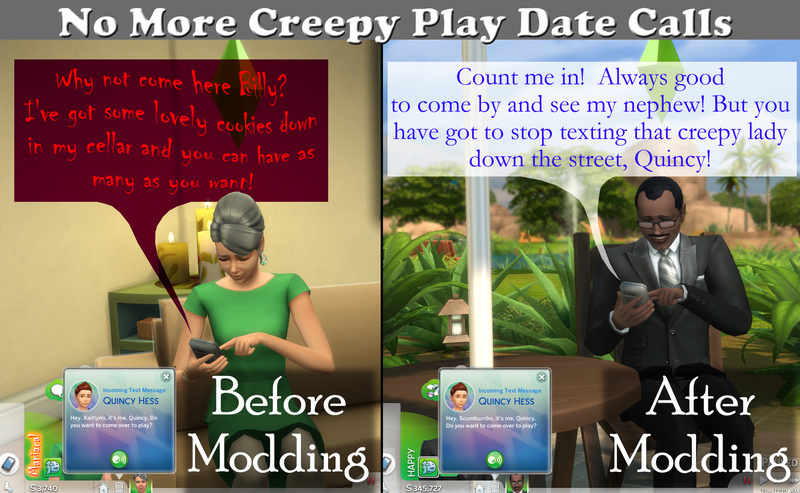 Child and teen Sims in your household can receive texts requesting a play date, but only from children they have met and have at least a 15% positive relationship with. Young-adult, adult and elder Sims can receive texts, but only from children they are related to who they have at least a 50% positive relationship with. To install, unzip the package contained in the download file into your game's mod folder. It can be placed in a sub-folder if desired. This mod was written and tested on Windows for The Sims 4 version 1.48.94 (December 20, 2018). It should be compatible with any stuff or game packs.